Close to buses, lightrail and rail. 2 hours free parking on-site. 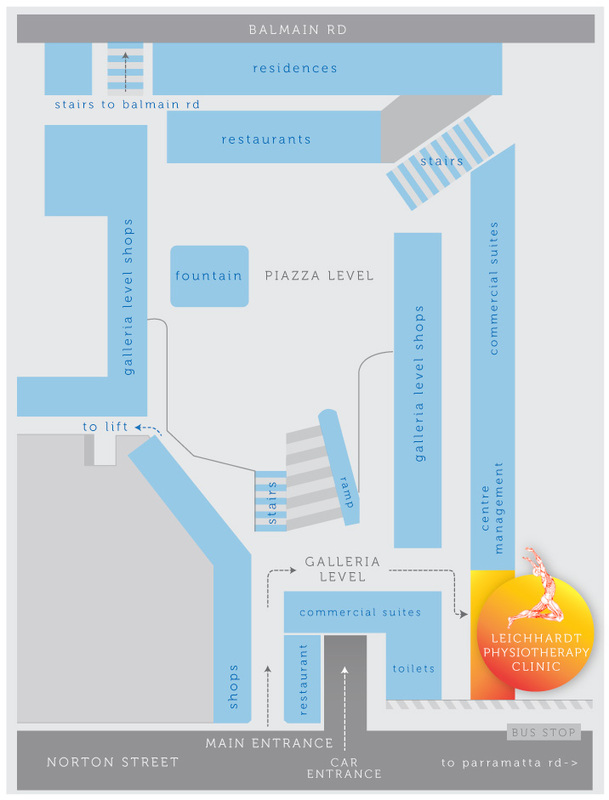 Leichhardt Physiotherapy Clinic and Leichhardt Pilates and Fitness is situated on the Galleria Level (Street Level).